Chelsea have been busy in the transfer window so far and news from England reveals that the club could be in for another signing. The Mirror reports that Cagliari have informed the Blues of the fee that would prise target Nicola Barella away from the club in January. 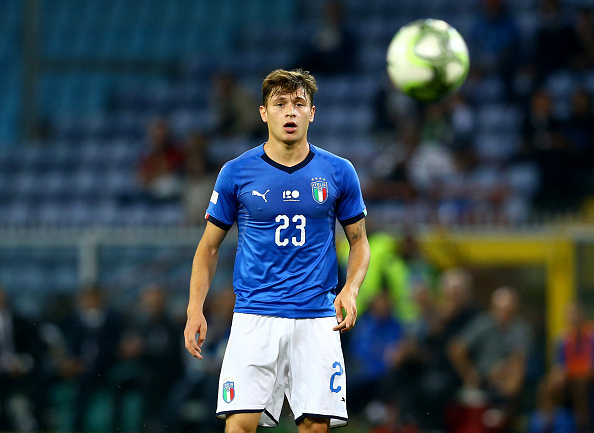 Barella has been linked to Stamford Bridge in the past few weeks as the club seek to bolster the midfield following the exit of Cesc Fabregas. It is understood that Cagliari have demanded a fee of around £50 million for the 21-year-old midfielder. Barela has developed into a key player at Cagliari and his performances earned him an international cap for Italy in the past year. Chelsea face a battle for his signature as the likes of AC Milan and Napoli are also interested in the Cagliari midfielder. Barella has been a regular feature in the starting line-up this season and has made 22 appearances in all competitions. The Italian international would be expected to serve as a back-up to Jorginho in the midfield and could also play alongside his compatriot. It remains to be seen if a deal can be agreed before the close of the transfer window in a week time.